Today I recieved the buttons in the proper colour scheme for SpikeOut. As soon as I got home from work I fitted them into the single player control panel I recently bought from good old Yaton. Last week I also sorted out the mixer setup thanks to Mo providing me with some service manuals which contained the elusive schematics. Thanks again Mo. So now it's fully playable as Sega intended. 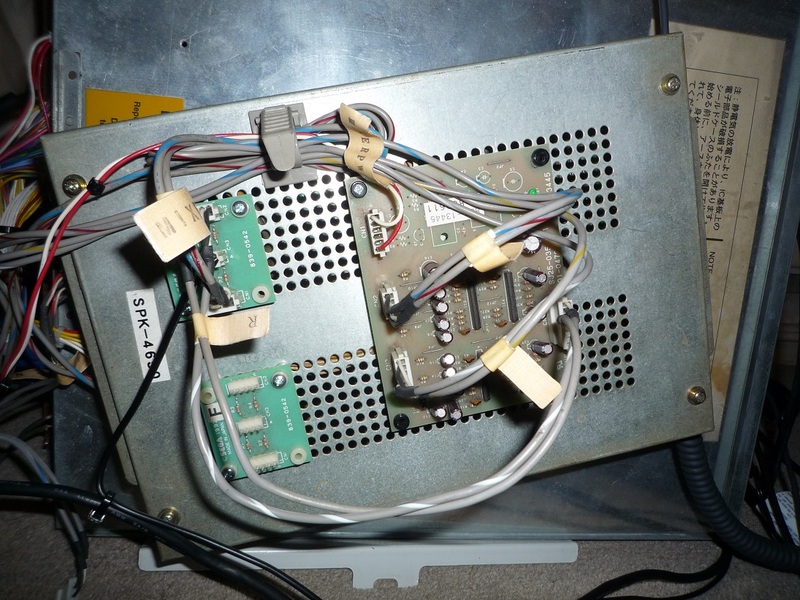 1/ tweak the picture on the monitor and maybe replace the capacitors. 2/ replace the speakers as the foam around the cones has deteriorated. 3/ clean up the cp and touch up the paintwork on the edges. 4/ try and source the cage mounting plates, one that the DSB attaches to, and the other than the mixers attach to. 5/enjoy the game after all the messing about I've done! I'm really happy to own this cab, I never would have imagined owning this setup before I found this forum. I'm gonna have a nice session on it later. who else has got model 3 pcb running in their Blast city ? Thanks mate, I always wanted a Naomi/New Net City. 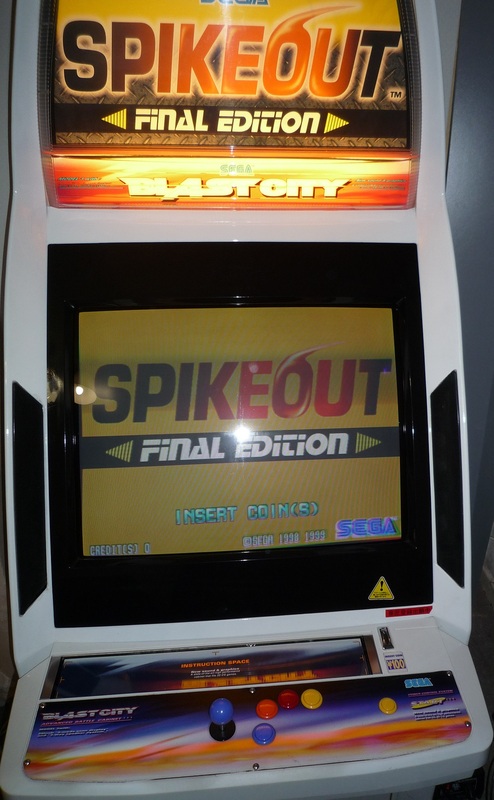 But when I seen both of Paul's Blast City's together a few years back I knew then that's the cab I'd like to own. Back then I asked Paul if he would give me first refusal and when he decided to sell it he stayed true to his word and offered it to me first. I didn't argue with the price, my answer was simply yes I'll buy it! Skint me out for a bit though! 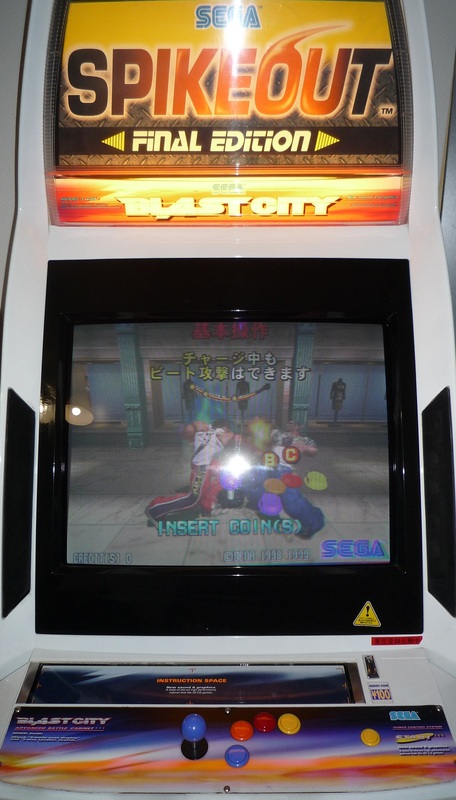 I would be happy with just the Blast City and my Sega Rally 2, I can play most of my favourite games from the Sega Model 3 golden ages on my cabs. As good as graphics are these days, most Model 2 and Model 3 games still hold up well compared to todays efforts. 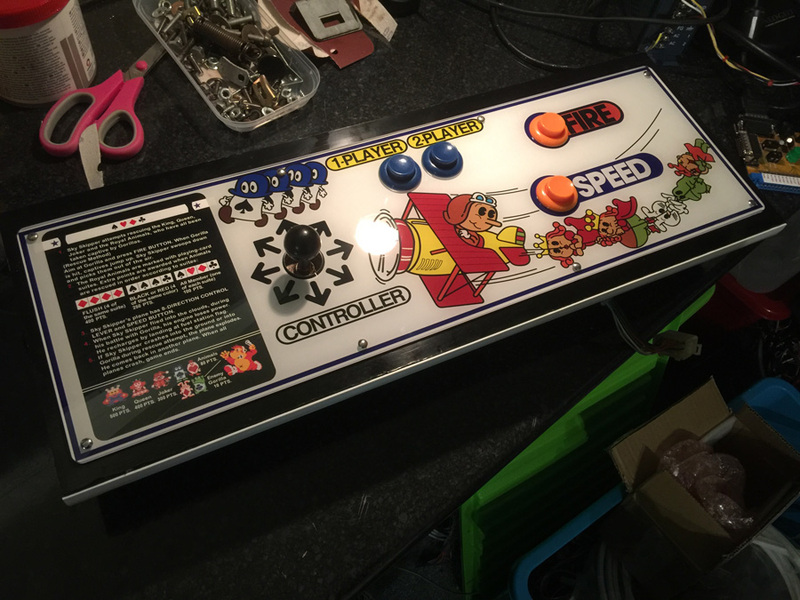 I was searching Yahoo auctions for ages for the marquee, and I was very lucky finding that unmolested 1p panel. 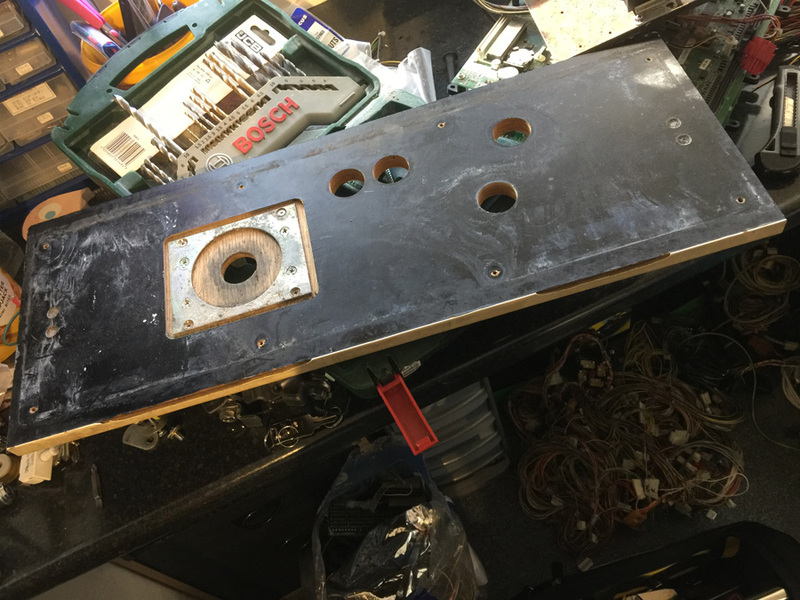 Most of the 1p panels have been turned into 6 button panels. It's cost quite a bit to put this setup together, the cab was lovely when I got it and I've just tweaked it to my liking. I just love playing on this cab, the cashbox is filling up nicely and I'll buy a Gradius II PCB when there's enough money in it. The only regret is getting rid of the VF3 stacks I had, that will go nicely inside this cab now. Hopefully I can find another one day, maybe just not at the price I sold it to you for! I've just been admiring it, sad I know. I still can't believe I've got most of the hard to find bits now, but I love chasing down those types of parts tbh. It's so much nicer playing on a 1p cp mate, I'd definitely recommend getting one if you are playing on your own most of the time, plus it doesn't take too long to swap the cp's over if you have someone to play with. They are expensive for what they are though, it's basically a sheet of metal with 6 holes in it and a mounting plate. I think the Naomi is a great design, but aesthetically the Blast is nicer on the eyes imo. I never got on with the built in topper on the Blast at first, but over time it just looks normal now. There's a bit more space inside the Blast city as well, I never realised how versatile the Blast is until I got one. The way the looms can be changed easily is genius. Did some long awated control panel work this week. 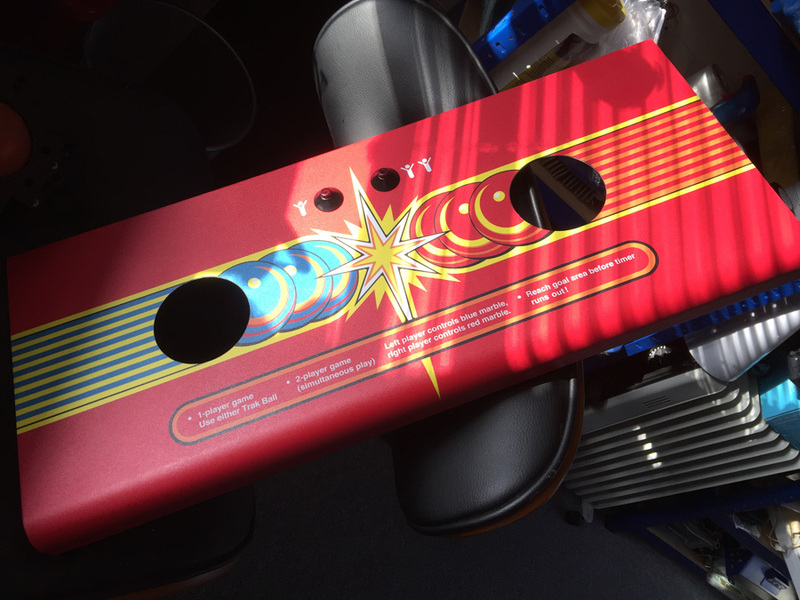 Marble Madness panel, which I need a blue trackball for if anyone has one! And got a panel ready for a certain Nintendo game I'm working on at the mo. Would blue enamel spray paint and lacquer work on the trackball?